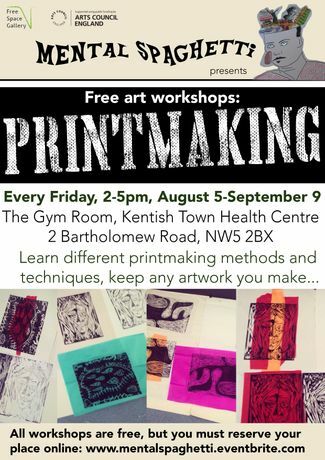 Join us for our free print making workshops run in collaboration with Mental Spaghetti. Learn a range of print making techniques each week. Our workshops are all intended to increase wellbeing of individuals and the community and we are based in Kentish Town Health Centre.